There are a whole lot of different apps on your iPhone that allows for the interaction with friends and family through instant messaging and one of the most popular ones is the WeChat. This app allows iPhone users to utilize free instant messaging and calling app to communicate with loved ones from anywhere. However, the unfortunate thing is that these apps tend to slow down your iPhone device especially when they start consuming too much storage space on your device. 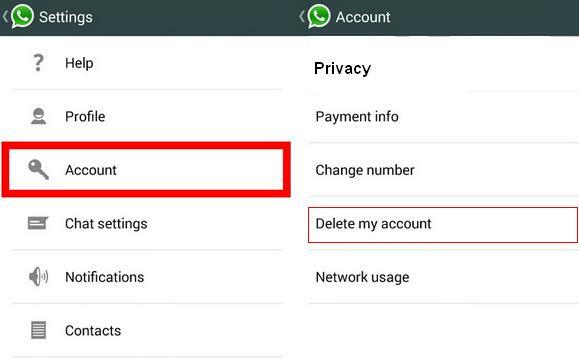 For this reason, you may want to deactivate or delete your WeChat account from your device. The following step by step guide describes how this can be done. Step 1: First of all, launch the WeChat app on your iPhone. Step 2: Tap Me and select the Settings. Step 3: Tap on Account. Step 4: Scroll down and Select Delete Account. Step 5: It will then display the consequences of deleting your account. Read it thoroughly and accept the terms and conditions. Then tap Next. Step 6: The screen prompt will ask for your password to delete account. Put password and delete. Part 2: Any Privacy Risk after Wechat Deactivate? This is a question most people continue to ask after deleting WeChat account. However, the reality is that there is a risk of privacy leakage if you have deleted your account using the normal steps listed above. This is because deleting WeChat account using the normal means above does not erase your account permanently and as a result, your account can be retrieved using data recovery tools. The implication is that anyone who wants to get your deleted data will always access it if they have a data recovery tool and this is bad for your privacy. The good thing is that there is a way that you can use to permanently erase your WeChat data from your device and this is what we shall see below. Like said earlier, deleting your WeChat data normally is not enough because it is not deleted permanently. However, the best way to permanently erase WeChat data from your iPhone is by using the iMyFone Umate Pro or iMyFone Umate Pro for Mac. It is one of the best apps designed to protect your privacy from intruders and also clear your device of those things that makes it sluggish in performance. 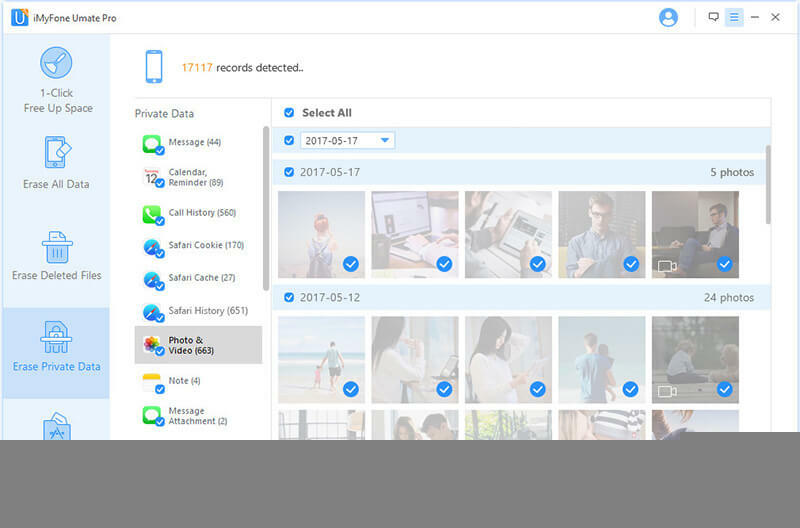 Permanently Erase Deleted WeChat Data: Make deleted Wechat messages, photos etc untraceable to protect privacy even in a situation where your device is sold or donated. Erase Wechat Fragments: Note that Umate Pro scans all the traces of fragments and erases them permanently. These fragments could be corrupted files, app caches or even cookies. 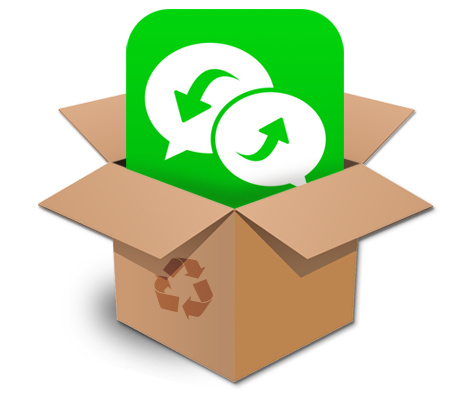 Erase Private Wechat Data: All Wechat private data like messages, attachments will be erased perpetual. Erase Everything Including Attachments: Erase not only the messages but the attachments no matter the size of it. The attachments could be photos, videos etc. Step 1: Connect Your device to iMyFone Umate Pro. Step 2: Select any of the erase modes that is most suitable for the task. To erase Wechat data and attachments, go to "Erase Private Data" mode. To erase Wechat fragments, go to "Erase Private Fragments" mode. Step 3: Erase your WeChat data permanently.